BMW N54 Walnut Blasting Is Popular! 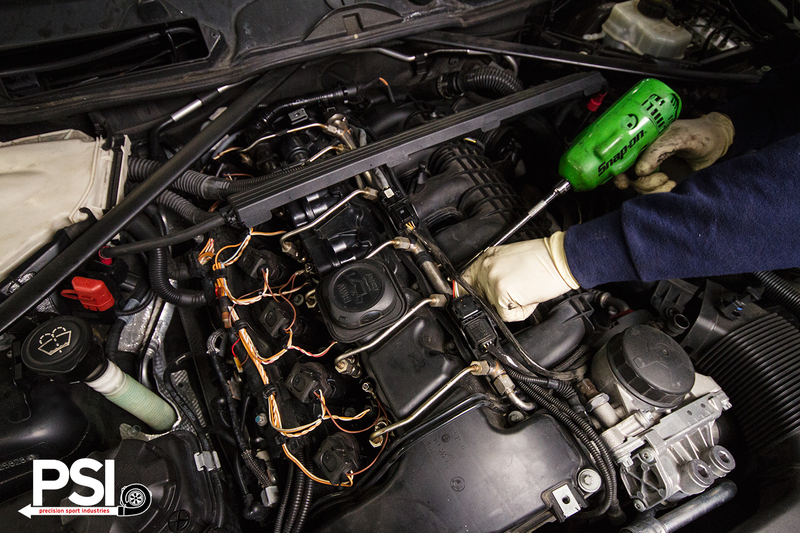 Years after introducing this as a premium service for all owners of the BMW N54 engine (see full list below), walnut blasting continues to be one of our most popular services with local BMW owners! For this reason, we are re-posting our original “inside story” article on how walnut blasting works, and why it is so important for proper maintenance. For everyone who is interested in what actually goes on during a special intake valve cleaning, here is some more information along with several other detailed photos of the process. Without further ado: the story behind it all. When BMW introduced the N54B30 powerplant to the United States market in 2007, it was their first production turbocharged engine that utilized direct injection technology. This means that instead of traditional intake manifold fuel injection, the engines injectors are placed literally inside the combustion chamber, next to the spark plug. 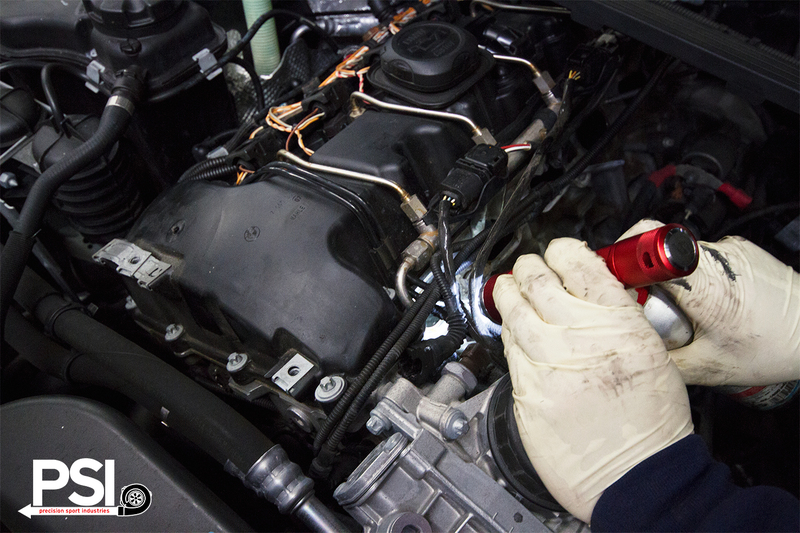 Direct injection boasts better fuel economy, and has proven to be a revolutionary development for the internal combustion engine. The technology is now found in nearly every new production car! While pioneering the market with the N54B30, BMW did have their share of growing pains with this new technology. There were several revisions for the high pressure fuel pump, and many other sensors and electronics pertaining to the fuel system had their issues as well. 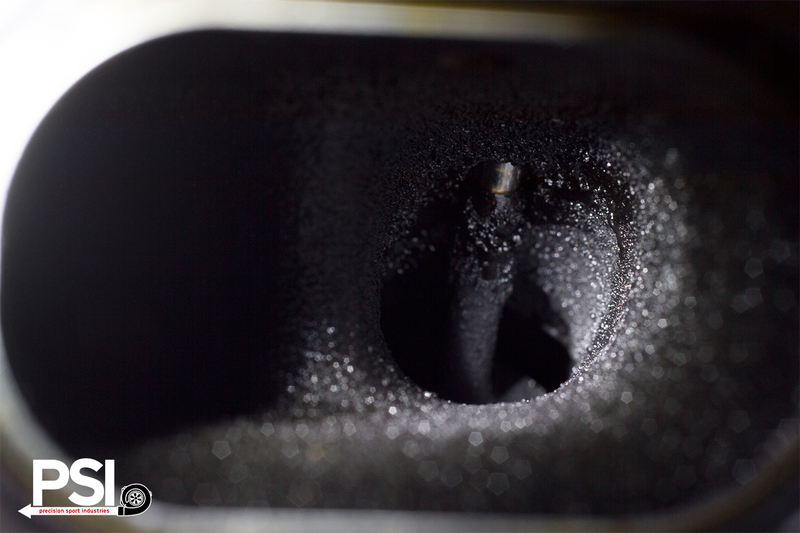 One of the major oversights with this technology development was the intake port and valve carbon buildup. 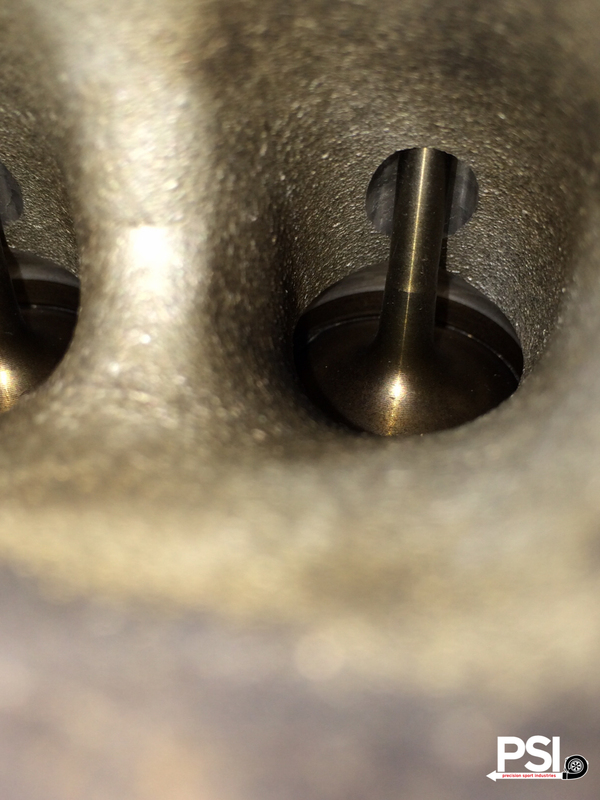 The N54B30 has a crankcase ventilation system that is internally routed in the cylinder head. If you look down into the intake port, you’ll notice a hole on the top of the port that is used by the CCV for vacuum. 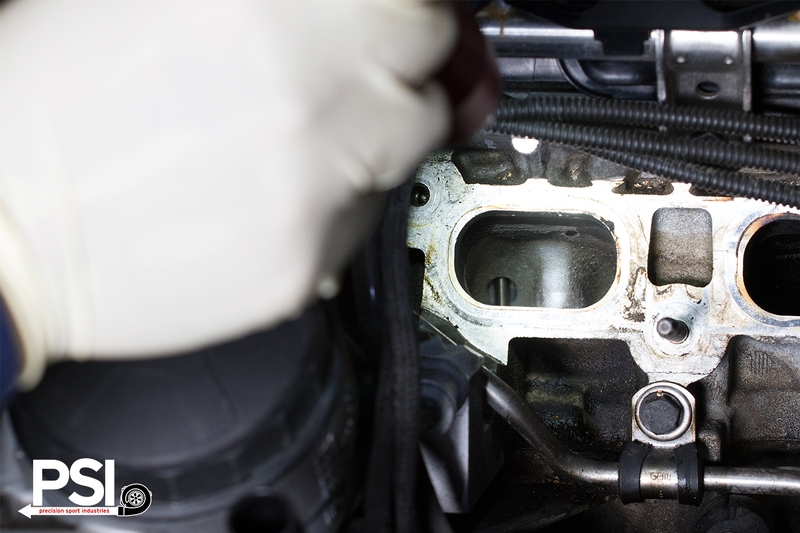 The problem now is that oil that makes its way through the CCV will end up in the intake port of the cylinder head – which wouldn’t be an issue if there was an injector in each port cleaning it with fuel. Since the N54 doesn’t have any fuel injectors in the manifold, the oil residue builds up on the intake port and intake valves over time. 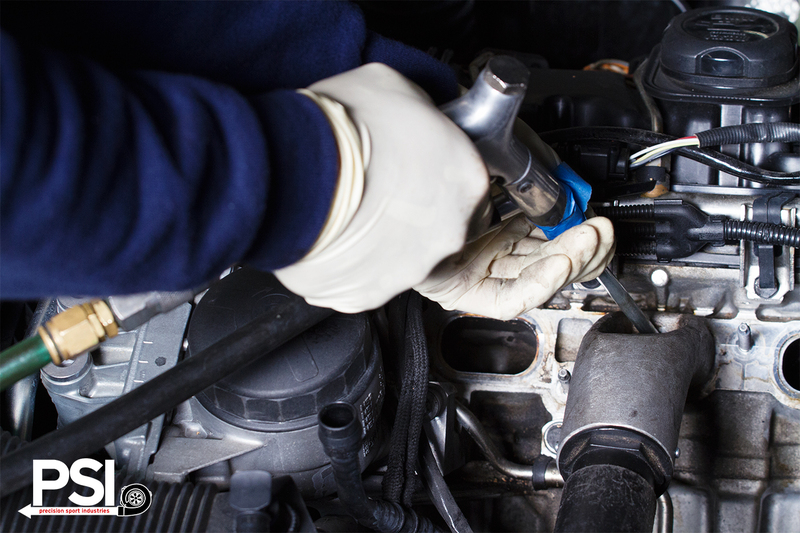 Newer cars such as the Scion FR-S that are direct injected have a second set of injectors in the manifold to help prevent the issue of buildup that the N54 has. Fortunately BMW recognized the issue and at the very least they have provided us with a genuine BMW tool that can be used to “blast” the carbon buildup off the port and valves. 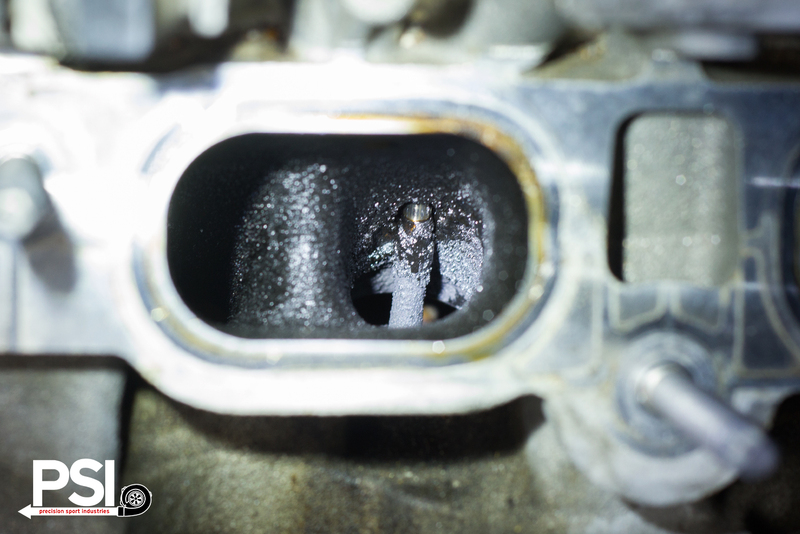 When the cleaning of the intake valves became regular maintenance on the N54 engines, we experimented with various ways to properly and effectively clean the carbon buildup. We tried chemical cleaning, simple walnut blasting, scrubbing, etc.. After years of dealing with this issue we’ve come up with what we feel is the most effective and efficient way to get rid of the carbon. Rotate the engine so that the valves are closed in the port being worked on, and then fill the port with a carbon solvent. Once the solvent has had time to penetrate the buildup, we use a variety of picks and brushes to loosen the carbon buildup, and then using the OEM BMW tool, we walnut blast the port until it is clean. Inspect, and then clean all missed areas. 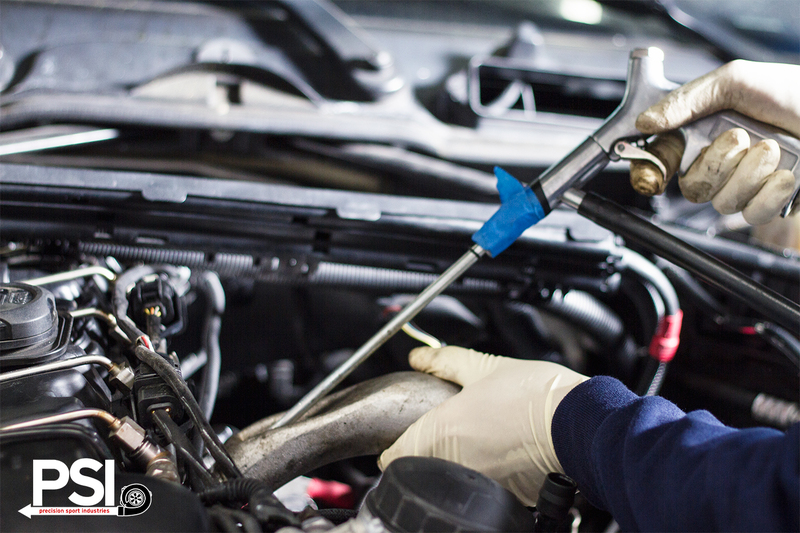 Feel free to contact us with any questions, or to schedule your own service!